The structure of Portugal's National Health Service (NHS) has been radically changed in recent years creating an entirely new set of influencers and a pressing need for pharma to seek insights about them. This is a crucial first step before determining the design, structure and skill base of new market access teams and goes hand in hand with understand the composition of Portugal's pharmaceutical market. In 2010, almost three quarters (71 per cent) of pharmaceutical products sold in Portugal were branded drugs, with just 21.5 per cent generic products and the rest over-the-counter (OTC) medicines. However, given the state of the Portuguese economy, the figure for branded drugs is set to drop dramatically. Branded products prices in Portugal are defined in relation to the prices in four reference countries - Spain, France, Italy and Greece - and the market has already seen significant cuts in recent years. This has affected not just branded products, but also generic drugs, whose prices are required to be at least 15 per cent less than the original product. However, with the government funding 92 per cent of all drug expenditure in Portugal, price revision is just the start of a concerted strategy to drive down prescribing costs and enforce the use of generics wherever possible. A new centralised prescribing system - currently in the final stages of approval by the government - will provide doctors with a 'white list' of drugs, with the lowest priced generic heading the list wherever applicable. This strategy is being reinforced by a plan to make prescription by Common International Designation (CID) mandatory, which enforces the prescription of generics. And with pharmacists being able to replace branded prescriptions with generics, the autonomy of the doctor is being further undermined. Pharmaceutical companies in Portugal have already recognised the increasing influence of the pharmacists and amended their sales strategies accordingly. But an entirely new set of influencers has been created by the restructure of Portugal's NHS. The most significant of its changes is the replacement of 18 sub-regional entities with 74 Agrupamentos de Centros de Saúde (ACES), which are essentially a collection of health centres. This model is designed to both centralise the management of health centres - thus driving down costs - and to take the provision of health closer to the population and provide many more people within Portugal with access to a family doctor. Each ACES is responsible for defining and negotiating performance plans with the government to reflect a number of indicators. These encompass patient access, technical quality/effectiveness, quality of records, perceived quality and efficiency. However, their primary focus is on prescriptions and cost effectiveness, with a strong focus on prescribing behaviour. Indicators include the percentage of generic drugs consumed in units versus total units; the average cost of drugs invoiced per user; the average cost of MCDT (Complementary Means of Diagnose and Therapeutic) invoiced per user; and the consumption of ansiolitic, hypnotic, sedative and anti-depressive drugs in the CNS market (defined daily dose per 1,000 inhabitants per day); as well as user satisfaction. These performance plans reflect the specific requirements of the local area, from demographic characteristics, to the prevalence of certain disease types and local prescribing habits. And with budgets due to be set based on the achievement of these goals, the widespread expectation is that organisations will look to meet objectives as far as possible. Furthermore, it is clear that the creation of ACES is also providing a platform for the development of primary care formularies for the first time, further eroding the prescribing power of doctors who will have to follow the guidelines to ensure each ACES meets performance plans and attains the required budget. 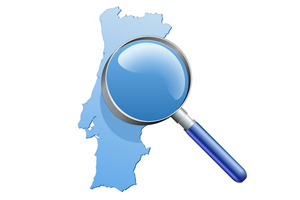 For pharmaceutical companies in Portugal, the speed and extent of these changes is significant. With the decline in GP influence, companies have already begun to reduce their field forces and last year employee numbers were reduced by around 30 per cent. Pharmaceutical companies know they need to expand the skills of market access personnel to combine technical expertise with the ability to negotiate. But it is also essential they gain rapid insight into the new KOLs as market access strategies are devised. Relationships remain a critical component of any market access strategy and determining those responsible for assessment and pricing at a national level, the new clinical influencers within the ACES structure, and the increasing role of pharmacists, will be key to successfully defining the new skills and structure of key account management teams. Companies need rapid access to information to determine which committee members to target throughout the drug lifecycle. In addition to new KOLs, this new healthcare structure has created a complex network of relationships at national, regional and local level. Understanding these relationships is critical to enable market access teams to gain far greater insight into the different roles of each KOL and the influence network, from committee to other clinicians within a local ACES. It is this 360 degree customer view that will enable companies to improve segmentation and categorisation of KOLs and drive highly effective and appropriately skilled market access. Furthermore, while price is the primary concern, those tasked with pricing and assessment roles are also looking closely at long-term cost effectiveness: new drug messaging must reflect life-time value, for example by reducing the need for secondary care services. While this message is less relevant at the ACES level, there will be a growing requirement to communicate with each ACES about patient compliance. What is the financial implication of a patient failing to use a drug correctly – for both the performance of the ACES and the revenue of the pharmaceutical company? Organisations need to be able to map the complex influence network with the objectives of organisations at both national and regional level, especially any specific relevant indicators in place across the 74 regional ACES. From radical restructure to a significant reduction in drug prices and enforced prescribing models that will push generics over branded drugs, pharmaceutical companies in Portugal are now operating in a radically different market model. With so many changes to consider, prioritisation is essential. The priority for the next 12 months has to be adapting the sales force to reflect the demands of this environment. It is those companies that leverage the growing volume in detailed insight into the new stakeholders and the way they interact, that will be best placed to create a highly effective market access strategy that can address every aspect of the product lifecycle, from pricing and reimbursement to local strategies of each ACES.